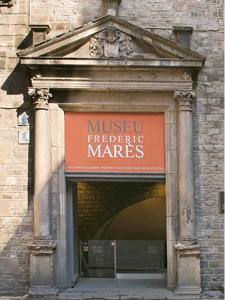 The Museu Frederic Marès is a unique collecting museum that preserves the collections assembled by its founder, sculptor Frederic Marès (1893-1991), which came to form part of the patrimony of the city of Barcelona through his donation in 1946. 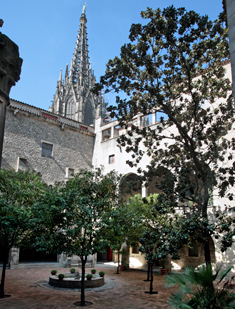 Two years later, this museum was inaugurated in a part of the old Royal Palace of the Counts of Barcelona in the heart of the Gothic Quarter. Its original Verger or courtyard garden, still remains intact. The Collector's Cabinet is the home to a display of tens of thousands of objects that make up a vast collection of collections that documents past lifestyles and customs, mainly from the 19th century. There you can find amusing, unique items like fans, pipes, clocks, jewellery, photographs, toys, keys, pharmacy bottles and reliquaries, all presented in an intimate atmosphere evoking Marès private universe.